The surroundings of Issyk-Kul are not only resort areas, but also significant historical sites that have combined several cultures and eras. 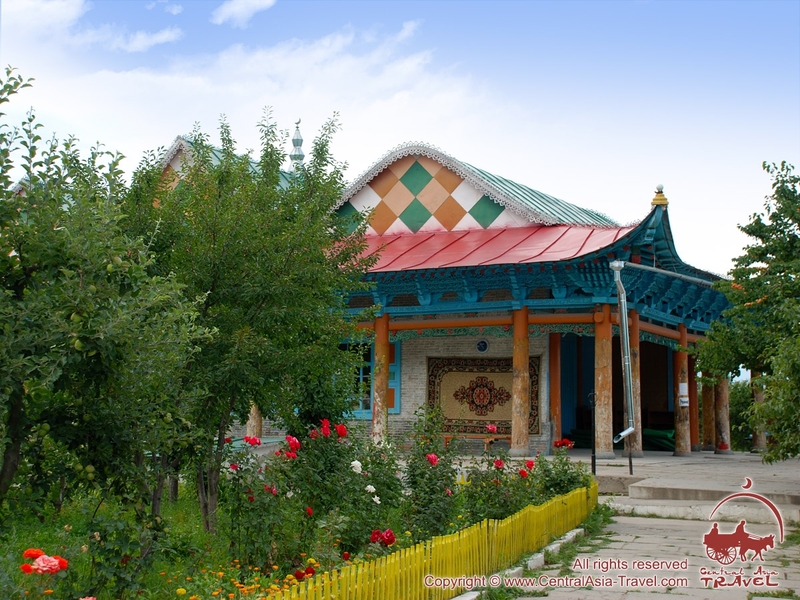 One of these historic sites is the Dungan Mosque in Karakol, Kyrgyzstan. 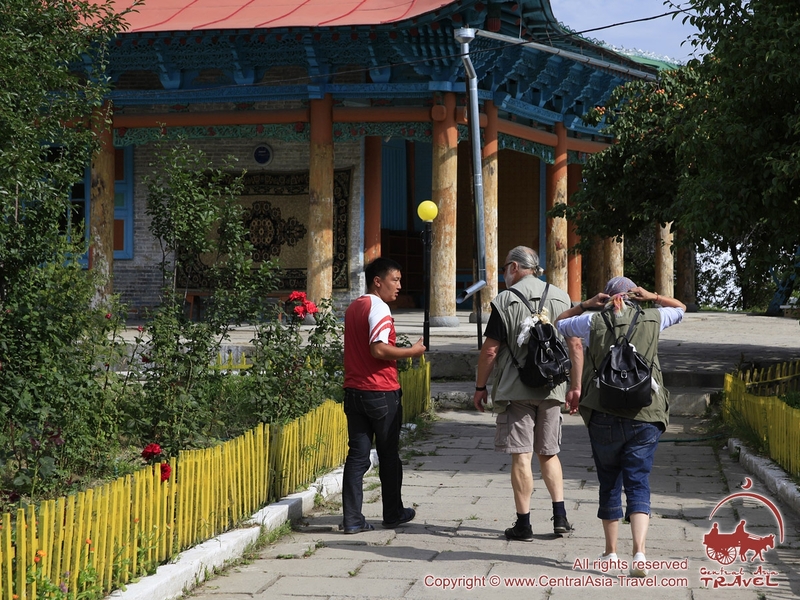 In 1877, Dungan refugees from China moved to the town of Karakol and founded a community here. In 1907, here comes Chou-Si - an architect from Beijing, who with a group of builders numbering about 20 people (roofers, bricklayers, and woodcarvers) began preparing materials for a future mosque. 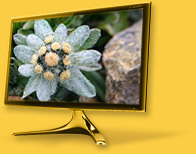 The Tien-Shan spruce, elm and local poplar became the building material, and walnut was used for decorating. The preparation took three years, and in 1910, Dungan Mosque, built in the best traditions of Chinese architecture, was finished. 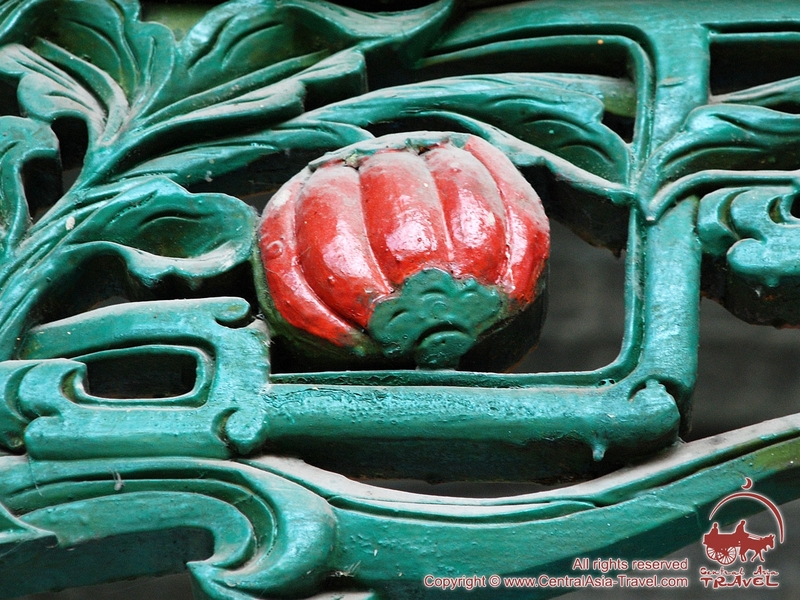 One can be trace architectural style of the Qing era in the design of the mosque. The unusual structure is that in the process of its construction not a single nail was used: all parts of the building are connected by cuttings and grooves. 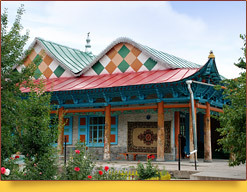 The floor space of ​​the Dungan mosque is 27x15 m, and the layout is traditionally rectangular. Numerous columns stand along the building’s perimeter, windows on southern and northern walls bring light and warmth. The western part of the mosque is without windows, since the faces of worshipers are turned here. 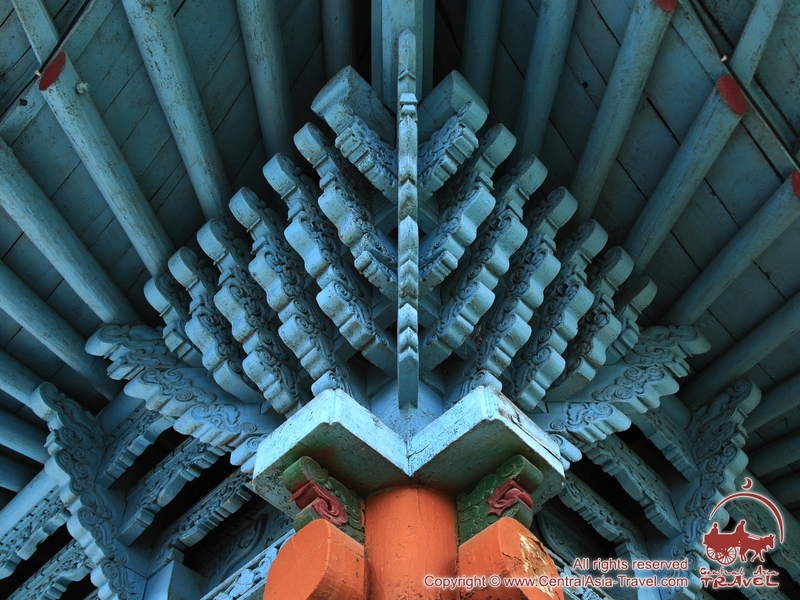 A unique work of art is the eaves’ ornamental patterns - they depict scenes from traditional Chinese mythology: dragons, phoenixes, lions, fabulous creatures. Legends say they guard the mosque from evil spirits. The color of the building and roof, as well as the materials were selected according to certain canons. The walls are purple. The columns are red, as it protects against disaster and evil spirits. The roof of the mosque is green to bring prosperity and happiness. The carved patterns are foliage patterns painted green and images of mythical creatures, painted yellow – the color of wealth and greatness. 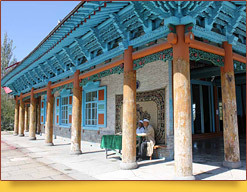 Dungan mosque is a vivid example of Chinese culture. Supernatural forces have been guarding it for a century, for it to bring peace and tranquility in the hearts of guests and visitors.